Home Personal Posts Do you ever just feel tired of it all? Like many of us, I have children who believe that sleeping through the night is just an urban myth. Oh the joy of having to cope with a full day of paperwork or appointments when you have had a few hours split sleep. Sleep deprivation is torturous, as you know, but I think my body has become so used to limited sleep that I function fairly adequately all day. However, the thing I find difficult to deal with is the emotional exhaustion this role brings. Being physically exhausted makes everything seem to much worse and trying to deal with the day to day activities becomes such a chore. Add to this the stress and emotional distress of the community we live in and suddenly there are days when it all just seems too much. I am tired of decisions being made about my child but no one telling us until we chase it up. 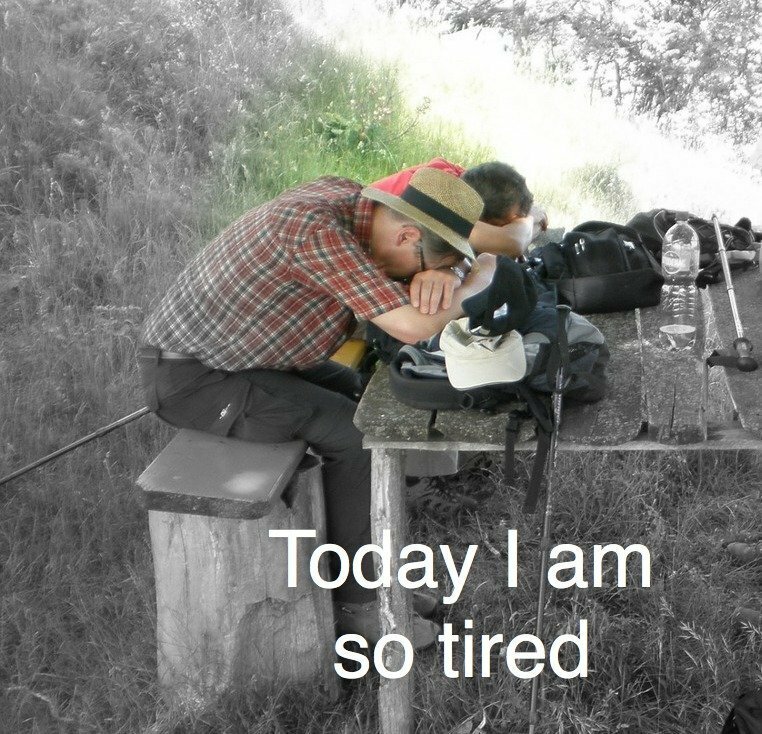 Most of all, I am tired of being tired. I dream of this world where people genuinely work together, genuinely listen to families, communicate effectively and know what they are talking about; a world where I can cope with the physical exhaustion without the added stress of the emotional exhaustion. It’s not too much to ask, is it? I know that I am not alone. I know that we all have days when we could quite happily go back to bed and sleep for a month (if we didn’t have all the letters to write, phone calls to make and appointments to attend). We all have times when we think “why do I bother? What motivates you to get up and tackle the world each day? Thankfully I only have to look at my three children and I remember why I bother. I also have a few strategies to help me do more than just crawl out of bed. What motivates you? What tips do you have to help others to not just get out of bed, but to get dressed, put your face on and face the world with a smile? To start with….. I am tired of this slow working laptop! I have (SP)MS myself, next to having a 17yr old daughter with Global Developmental Delay. And it wears me out! On top of that…, I have the dutch nationality (moved over in 1995, got married to my wonderful, british, wife in 1996…). You said it beautifully Anthony…. you too have my “unreserved commendations”. On the other hand, during another visit with my daughter, a lady connected to the opponents, recognised my daughter’s ‘absence’ and offered me a helping hand….., she told me that she was a carer by profession and could see my problems with walking. A positive moment never to forget! Still, when visiting last Sunday (I ‘position’ myself on tarmac if possible, as this is not as bad as ‘wet clay’), meeting up with one of my son’s team mates, made it double worth it (as they also won the match..). This boy also used to be one of my son’s class mates at primary school, the reason that I knew the family. His father had passed away recently (cancer), and I had met up with his dad not long before his death. When I met up with the boy after the match, on-the-tarmac-bit, he showed me a grateful smile, after which I put my arm around him… We did not need (many) words. What I actually wanted to say Deb………… :)……. Is it possible to start a topic ‘Global Developmental Delay’ as this is the official name of my daughter’s condition………. This article sums up what is wrong with the system. I use the word system very loosely as the “system in each authority boundary is different although the law is the same. 1. We are tired of being told we cope well and are exceptional parents when we are just normal and deal with all our three kids with the same framework and just adjust things because of the complexities of having a child with a disability. 2. We aretired of professionals in my life who are never there when we need them but magically turn up so their boxes and paperwork adheres to an inspection. As a primary school professional I feel for you and anyone else who feels that ‘professionals’ are so inadequate. Nobody should have to feel that life is to be coped with. All our children deserve the most rich and loving experiences possible. There are unfortunately ‘professionals’ in the ‘system’ who don’t ask for training or seek more able professionals to support or take over from them. They lack realistic self awareness of their strengths and weaknesses and the appraisal and oversight of their responsibilities by a range of management systems is shockingly inadequate.The journey that class teachers will have to, and should, make to develop quality teaching/ learning ” for all” is a very difficult path because so many teachers do not have the time, knowledge or skills to be able to differentiate the learning and class environment effectively enough. Genuine inclusion will not be possible until more teachers, in mainstream schools, have specialized training and then become key staff and leaders in those fields, eg ASD, ADHD, Dyslexia and SLD. It is only by the wholesale reorganizing of school staff that children will be assessed quickly, accurately and have their needs met. We have a culture where parents are held up as the experts about their children and who, once given a ‘diagnosis’, will know what to do to meet their children’s needs because it means services can involved as little as possible. This hands off approach though is value laden because it assumes parents have the time, money and expertise to understand and ‘ cater’ for their children objectively. As a parent i know that this isolation is counterproductive for many families and can lead to feelings of vulnerability and emotional distress. The best outcomes for families are when there is consistent timely and regular face to face genuine communication with skilled professionals and a full involvement in ‘assessing, planning, doing and reviewing ‘. Once a year reviews are not enough for most parents but there seems to be an ‘us and them’ mentality in schools and LAs rather than a sharing and accomplishing together attitude. The new SEND reforms will only meet the needs of children if there is a candid and open dialogue between all those involved in our young peoples’ lives. So far the EHCP process, in my region, appears to be such a hit an miss affair that it’s much talked up aims seem to be a far off dream. Just to clarify my points. The education staff in schools bar one have been wonderful and to date have delivered a fantastic bespoke service to our daughters. Similar can be said of the health professionals who respect my daughter and treat her as an individual and do everything possible to minimise all our stress. My points are aimed at Local authority managers and social care managers who have made our lives intolerable. even the simple things are beyond them. – that if I put an e-mail request out for parents’ views on a given subject, I get a high, fast, response rate. – the above tells me that parents, however tired, are still keen to try and get their views across. That’s good news. I’m tired of trying to communicate with people who are either in meetings or on training courses all week. I’m taking a six month career break because I wasn’t able to get to work with all that’s going on at the moment. It’s going to take a bulk of my savings but I have no choice.